This, North India Nepal Tour Package, is a very interesting and exciting journey and ot combines some of the well known tourist attracrions of the Northern parts of India with attractions from Nepal as well. You'll be entertained with the rich history, culture and cuisine of the region. The tour package runs through, Jaipur, Agra, Khajuraho, Varanasi, Lumbini, Chitwan, Kathmandu and then ends the tour by returning back to Delhi. If you take this colourful journey you'll see and cherish the trip to Nepal for a lifetime. As soon aas you arrive at the Delhi International airport or the Railway station, your North India with Nepal Tour package takes off. On arrival at New Delhi airport, you'll be received and escorted to the hotel where you'll be spending the night. 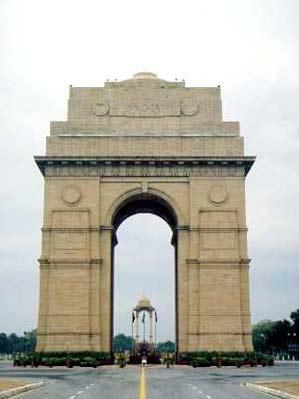 After breakfast in the morning, you'll be taken on a city sightseeing tour of New and Old Delhi tourist attractions. The places of interest will include Rashtrapati Bhawan or President House, Parliament House, India Gate, Raj Ghat, Red Fort, Jama Masjid, Humayun's Tomb and many more if the time permits. Later in the day, you'll be driving to Jaipur, visiting Qutb Minar on the way which is the highest brick tower in the world. Night stay will be at a hotel in Jaipur. In the morning, you'll be taken for an excursion to Amber Fort. The fort palace of Amber is one of the most beautiful specimen of the Rajput style of architecture . The fort is perched on the top a hill. You can also go for jeep ride or elephant ride to reach the top. In the afternoon, you will be shown other splendid buildings such as Hawa Mahal or the Palace of the Winds, City Palace Complex, a rich blend of Rajasthani and Mughal architecture with sprawling courtyards, gardens and monuments, Jantar Mantar or the Royal Observatory and colorful bazaars. In the evening return to the hotel for night stay. In the morning after breakfast, you will be driven by road to Agra. En route, you will visit Fatehpur Sikri the abandoned capital of Emperor Akbar. The attractions you will be seeing here include Bulland Darwaza, Panch Mahal, the Palace of Jodha Bai, Birbal Bhawan, Jama Masjid and Salim Chishti's Tomb. On arrival at Agra, check into a hotel and freshen up. In the afternoon, you can visit the splendid Agra Fort and also the magnificent Taj Mahal, built by Shah Jahan in memory of his consort Mumtaz Mahal. Night stay as scheduled at the hotel in Agra. In the morning, after breakfast, you'll be transferred to Agra Cantt railway station to board a train to Jhansi. 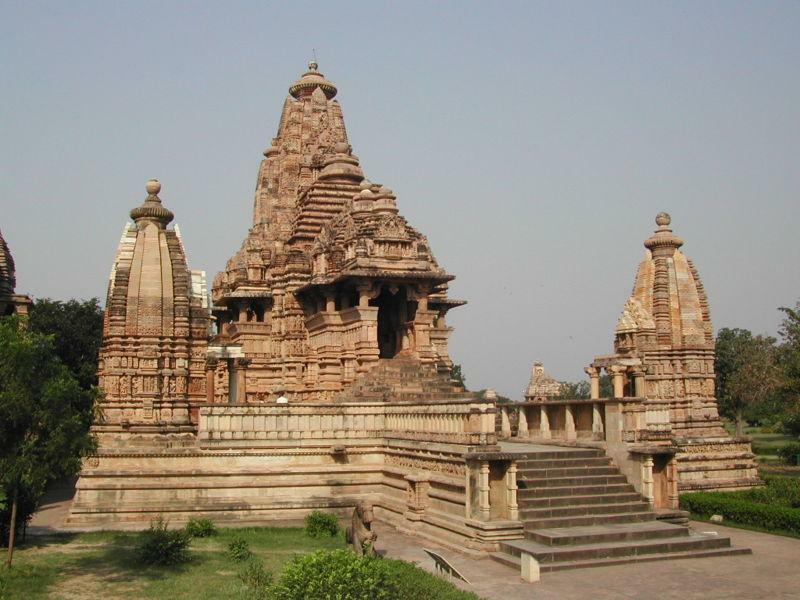 From Jhansi, you'll be further drive to Khajuraho, the temple town of medieval age. On reaching Khajuraho, you'll be checking into a hotel for night stay. 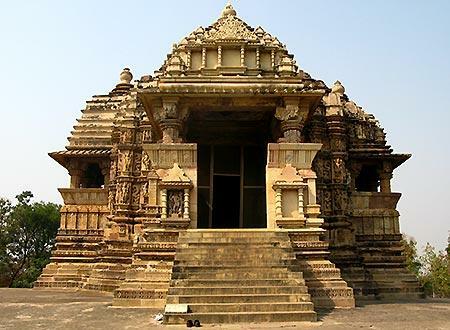 Freshen up and in later in the afternoon, you'll be escorted to the world famous Kama Sutra temples, Eastern and Western group of Khajuraho Temples including Javeri Temple and Parsavanatha Temple. Night stay is at the hotel at Khajuraho. The morning is kept free for you to explore Khajuraho on your own, if you like to or just take leisure to be on your own. 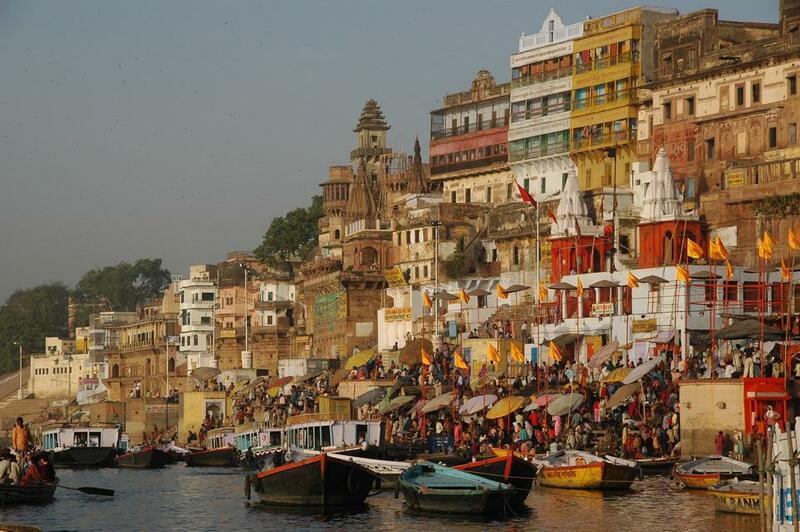 In the afternoon, you'll board a flight to Varanasi. On reaching Varanasi , check into a hotel and it is time again for leisure for a while. Later you'll drive to Sarnath, one of the most sacred Buddhists places and see here the Buddhist relics and ruins of the olden days. You will also visit the Sarnath Stupa, Archaeological Museum and Ashoka Pillar. Return to the hotel in Varanasi in the eening for dinner and night stay. Early in the morning, after breakfast, you can enjoy an exciting boat ride on the river Ganges. You can explore the Ghats and witness people offering rituals. During the day, you will be visiting Kashivishwanath Temple, Bharat Mata Temple, Durga Temple, and Banaras Hindu University. Relax in your hotel room for the rest of the day. Night stay will be at the hotel. After breakfast, you will drive to Lumbini, about 325 kilometers from Varanasi. Lumbini is the birth place of Lord Buddha and is situated on the Indian side border of Nepal. On reaching Lumbini, check into a hotel and take free time. Stay the night. Take a short sightseeing trip of Lumbini and see places like Ashoka Pillar, Buddhist temples and the museum. Later, you'll be drive to Chitwan, which is located at about 170 kilometers away. On arrival, check into a Jungle Resort and spend the evening at leisure. Stay the night at jungle lodge. In the morning, you can go for a nature walk with a naturalist as the guide. 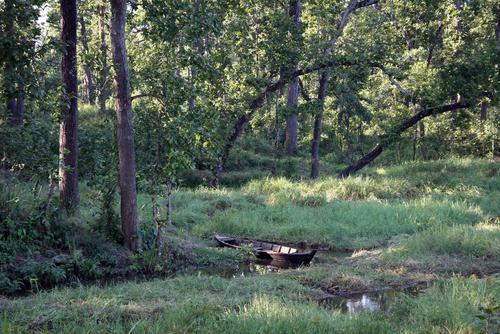 You can also explore the Chitwan National Park and take either a Jeep or Horse Safari. Later, you will drive to Kathmandu, the capital of Nepal. The drive will take about 5 hours from Chitwan to reach Kathmandu. On arrival, check into the hotel and stay the night. You will leave for sightseeing in the city of Kathmandu after breakfast at the hotel in the morning. You can see 2000 year old Swayambhunath temple, which is a UNESCO world heritage site in Nepal. Return to the hotel and stay the night. The next day you will be visiting the Boudhanath Stupa. This is the biggest stupa in the whole world and the center for Tibetan Buddhism in Nepal. 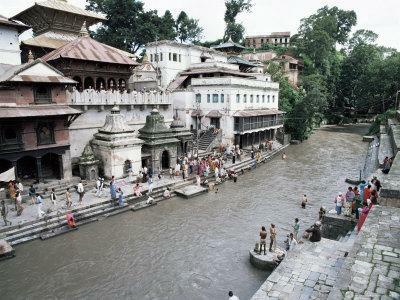 Next you will visit Pashupatinath Temple dedicated to Lord Shiva and this is another UNESCO world heritage site. In the Afternoon you can go for a trip to Bhaktapur to visit Durbar Square. Return to the later in the evening and stay the night at the hotel. Morning is a leisure time and in the afternoon, you'll be driven to airport to board a flight to Delhi. On arrival, you'll be escorted to the hotel. In the evening, enjoy an Indian Dance Show and a dinner. Stay the night at the hotel in Delhi. This will be the last day of your North India Nepal Tour. You'll be driven to International Airport to board a flight back home.